Color: Red and Black. 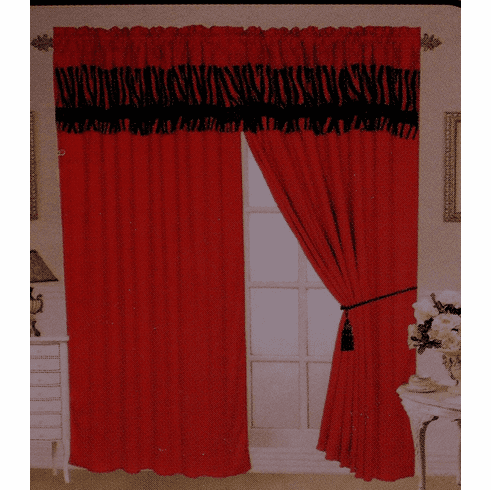 The curtain body is red color. Recommend: One set of curtains will fit a window less than 70" wide or fit two small windows that are less than 40" wide.